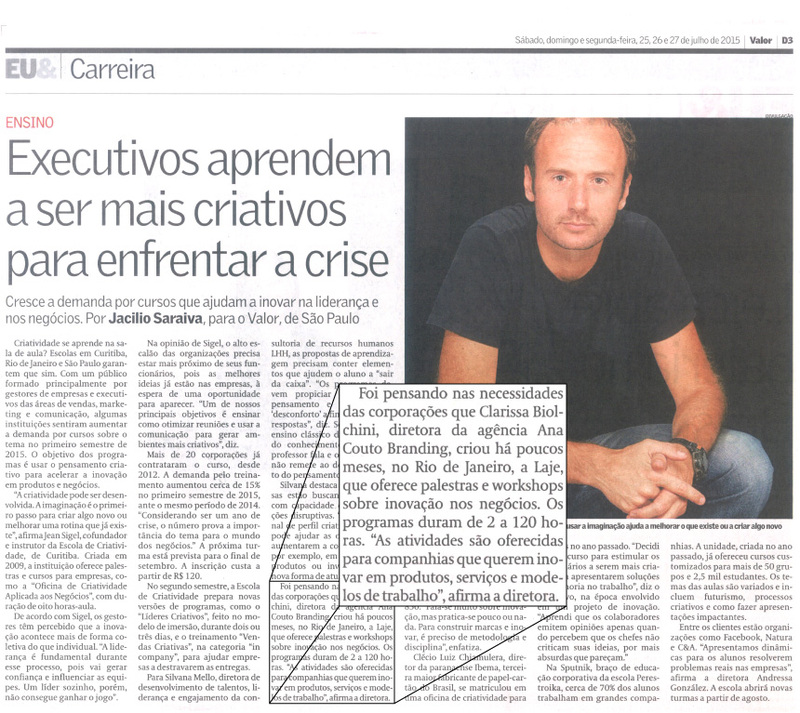 Valor magazine published an article on the importance of creativity for innovation in business to overcome times of crisis. And since innovation is one of Laje’s themes, we had to be part of this. Conheça um pouco mais sobre a Laje, a nova iniciativa da Ana Couto Branding, visitando o site!